Liquid Democracy is one of the boldest contemporary innovations in democratic decision-making. The idea uses web technology that allows users to interact in new ways. Its primary innovators are located in Berlin, and Germany has been the first to adopt and apply Liquid Democracy systems in the context of political parties, parliamentary processes and some organizations. Liquid Democracy has a number of key features. In the Liquid Democracy system, a party member can assign a proxy vote to any other member, thereby assigning a personal delegate, instead of voting for a representative. A member can give their vote to another member for all issues, for a particular policy area, or for a particular decision only for any length of time. That vote can be rescinded at any time. Under this system, a person can become a delegate for multiple members within a polity very quickly, wielding the political power normally reserved for elected representatives as a result. But a person can lose this power just as quickly. This is the “liquid” in Liquid Democracy, a process that can also be referred to as “transitive delegation.” If someone is respected as a trusted expert in a particular area, they can gain members’ votes. As a result, every person within a Liquid Democracy platform is a potential politician. In one of the software systems, any member can also propose an idea. If enough other members support the idea, it moves on to a discussion phase, where the proposal can be modified or alternative proposals can be put forward. Of the proposals that are offered, those with enough support are put up for a vote. A vote is made using the Schultz method of preferential voting, ensuring that votes are not split by almost identical “cloned” proposals. All of this is done online. There are a number of critical issues within Liquid Democracy applications. The first question is whether a party will make the Liquid Democracy process a binding one — where member votes on the online platform become real law — or use it for reference — where member votes merely inform existing representatives. The second question relates to transparency: Will users disclose their identities, retain anonymity, or use a hybrid system of authenticated pseudonymity? The third question pertains to whether liquid (or transitive) or direct votes are used. The idea for Liquid Democracy is not new. Lewis Carroll, the British author of Alice in Wonderland, was the first to propose the idea for transitive voting in a thesis titled “The Principles of Parliamentary Representation.” Only with the advent of computer technology, however, have the technical necessities for creating such a complex and dynamic decision-making system become possible. Not surprisingly, hackers and programmers in Berlin were talking about the possibility of creating software for a Liquid Democracy political process well before the software was developed. Around 2008, Berlin’s hacker culture held the sentiment that some kind of liquid system of political decision-making was imminent. The question was who would develop it first. Two organizations eventually created Liquid Democracy technology. In 2009 Andreas Nitchea, Axel Kistner, Jan Behrens and Björn Swierczek put in nearly four months of volunteer time to create the first Liquid Democracy software called “Liquid Feedback.” They later set up the organization Interaktive Democratie e.V. to promote it. 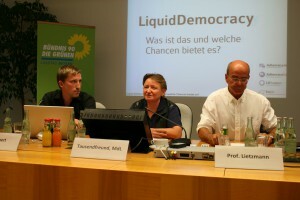 The second organization, Liquid Democracy e.V. uses a software called Adhocracy, originally designed by programmer Friedrich Lindenberg. Liquid Democracy e.V. is an NGO currently headed by Daniel Reichert, working together with a robust team of project managers and developers who apply Adhocracy software in a number of different contexts. The organizations used different software programmes (based on different programming languages) that reflect different philosophies toward Liquid Democracy with different functionalities. Interaktive Democratie e.V. 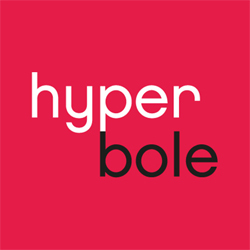 sees transparency within the platform as a sine qua non of any application of the software. They also consider the liquid delegation of proxy votes to be a core feature of Liquid Feedback that should not be scuttled. In addition, they do not see the software itself as a platform for deliberation, but rather as a tool for decision-making. If a group wants to deliberate on an issue, Interaktive Democratie e.V. suggests that people use social media platforms to do so, not Liquid Feedback; they do not think of their product as a replacement for live or online deliberation, but believe that the Liquid Feedback system should complement the interaction between people who already know each other — or are at least contextually familiar — instead. Liquid Democracy e.V., on the other hand, does not see the liquid delegation of proxy votes as an absolute necessity (it can be switched on and off depending on where it is applied). In addition, the Adhocracy software is designed for public deliberation, rather than voting (although it is still possible). Adhocracy includes features such as a collective editing function, where a script or text (filmic or policy) can be deliberated and dynamically developed. Users can be anonymous and it’s not an absolute necessity for people to know each other outside of the Adhocracy platform. These two organizations with their two distinct software systems have given rise to a number of applications of Liquid Democracy systems. Liquid Feedback has been universally adopted by the German Pirate Party as a tool for deepening the party members’ level of political engagement. The German Pirate Party applies the Liquid Feedback software at different levels and in different regions. In other words, their national Liquid Feedback platform is different than their regional platforms. At the national level, Liquid Feedback is still a reference system; actual policy and representative voting processes use a paper ballot. Efforts have been made to use Liquid Feedback to make binding policy decisions, however the issue is currently at a deadlock, with a powerful group of anonymists within the party blocking the way toward a fully transparent and binding system. However some chapters at the regional level have adopted a binding Liquid Feedback system. The Berlin Pirates are currently in the process of making their Liquid Feedback processes politically binding as well. At this time, there are certain legal obstacles related to electoral law that still need to be overcome. The success of the Pirate Party after the 2011 state and regional elections was bolstered by their avowed use of Liquid Feedback. This set them apart from other parties and, as a result, Liquid Feedback software is often confused as Pirate Party software. But Liquid Feedback does not belong to the Pirate Party — it is open source and can be applied by many different organizations in a variety of contexts. 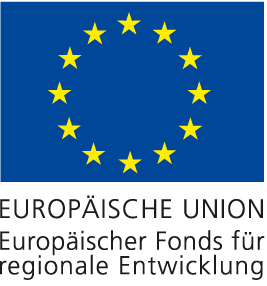 In addition to its application within political parties, Liquid Feedback has also been used at the county municipal level in a region of Germany called Friesland. 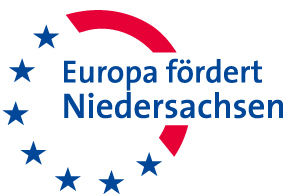 The pioneering Council of Friesland enlisted the help of Interaktive Democratie e.V. to apply Liquid Feedback in their decision-making process, which is now called “Liquid Friesland.” Liquid Friesland has been running for several years. It gives local community members a way to propose policy ideas and directions, which are then voted on by people using the software. Only people who are legal residents of Friesland are allowed to join the software platform; authentication systems have therefore been devised to weed out non-legitimate users. Liquid Friesland is primarily a reference system. Community member votes are not binding policy for the county. Instead they primarily inform the Council decision-making process. The system has the dual function of allowing community members to propose ideas and enabling the Council to announce their decisions. In addition to the Pirates and Friesland, the Italian Five-Star Movement has also applied Liquid Feedback. With 25% of the national vote, the Five-Star Movement is currently a significant political force for change and a serious adopter of Liquid Feedback. Outside of Italy there seems to be little written on the movement’s experience with the system, so it is an important area of further investigation. Liquid Democracy e.V. has used their Adhocracy software in a number of contexts, including government and various youth development and youth inclusion projects. The highest profile example is its application within the Enquete-Kommission Internet und digitale Gesellschaft des Deutschen Bundestages (Federal Parliamentary Commission on the Internet and Digital Society). Adhocracy has been applied in a number of other areas, including, for example, youth inclusion projects where youth are encouraged to give their ideas on local community development. Other reports have pointed toward the application of Liquid Democracy software by the German Slow Food movement as well as the Germany company Synaxon AG. This entry was posted in Digital Democracy and tagged Demokratie, Enquete-Kommission Internet und Gesellschaft, Liquid Democracy, Piratenpartei. Bookmark the permalink.